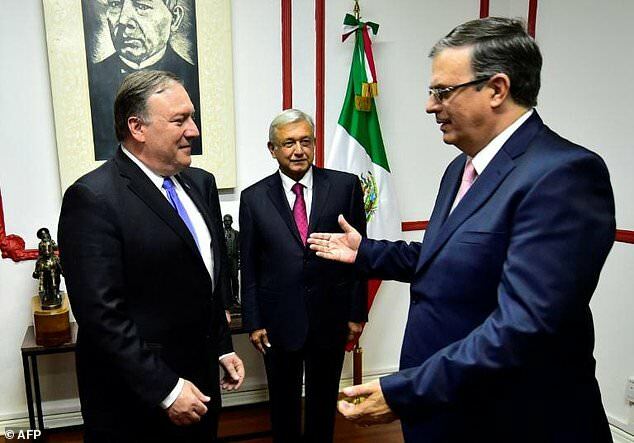 Mexico's new Foreign Minister Marcelo Ebrard met with US Secretary of State Mike Pompeo on Sunday for what he called a "friendly" meeting amid tensions over the migrant crisis at the border. The talks came one day after Andres Manuel Lopez Obrador took office as Mexico's new president. "Friendly conversation as a first approach towards a long standing understanding between Mexico and the USA," Ebrard said on Twitter. "I thank him for his attitude and respect towards the new administration of President Lopez Obrador." Lopez Obrador, known as AMLO for short, is a leftist who was sworn in on Saturday, five months after a landslide election win. On Sunday, Pompeo and Ebrard discussed a "shared commitment to address our common challenges and opportunities for the future," according to State Department spokeswoman Heather Nauert. The two countries are grappling with how to handle the thousands of Central American migrants who are camped at the common border -- in the short and long terms. President Donald Trump is pressuring Lopez Obrador to accept a deal to keep asylum-seeking migrants in Mexico while their claims are processed in the United States. Last week, Ebrard said he would like to see a sort of "Marshall Plan" to foster development in El Salvador, Guatemala and Honduras, akin to what the United States did to help rebuild Europe after World War II. Ebrard said such a plan would help shrink the number of migrants fleeing violence and poverty in their home countries and heading to the United States. 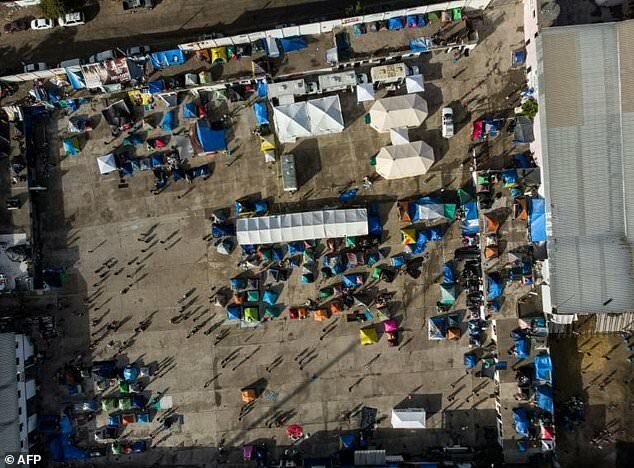 On Sunday, officials in the Mexican border city of Tijuana shut down a makeshift shelter in a sports complex housing migrants, citing unsanitary conditions, and moved them to a different facility. Of the original 6,000 migrants who had massed in the city, only about 2,000 went to the new center, a city official told AFP. Cold temperatures and driving rain made conditions in the open-air shelter too difficult. Another 500 remained near the original site, fearing the move was a precursor to being deported, and were sleeping in the streets, the official said. The whereabouts of the rest were not known. The migrants, most of them from gang-plagued Honduras, had travelled for weeks hoping to reach the United States. A week ago, US authorities fired tear gas and rubber bullets at about 500 migrants including women and children who had tried to breach the US-Mexico border. The confrontation prompted hundreds of migrants to either head home or seek to remain in Mexico.